★ Forward-thinking 6-track Mini-Album Featuring Subtle and Always Dynamic Minimal-Organic But Stomped Techno Pearls ! Argentinean established live-performer and producer Gare Mat K, is back at Progrezo Records with an undeniable 6-track mini-album aimed straight to hit the point with solidity enough as Heiment does. As taken from a surreal story where magnificent sounds surround mysterious elf and futurist fairies, Gare Mat K takes us into a new world dimension not only by his music language, but because the planet he brings with, full of emotion, dynamism and cinematic sound-scapes for a proper Future-techno journey to enjoy. 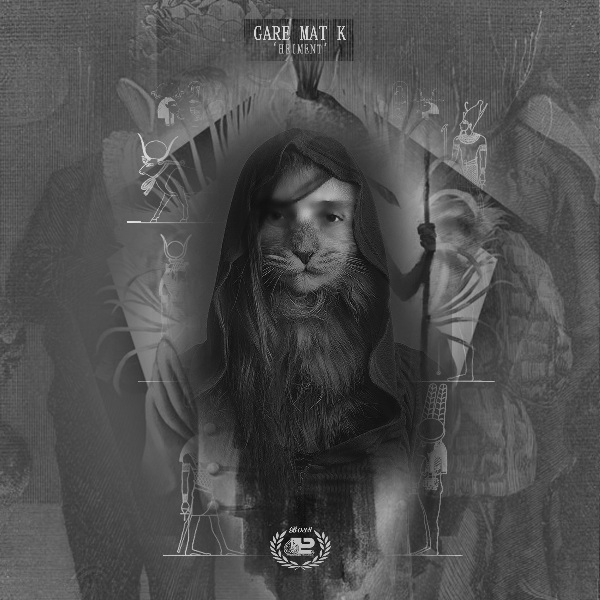 Solid 808, 909 bass drums, hypnotic Moogy bass-lines, emotional MS20 synths, dirty Minibrute shoots, mad Acid-lines and a series of well crafted elements - all of them - played and recorded live, prove Gare Mat K himself as one of the tomorrows best talents to follow. With upfront remixes and edits to industry makers including Underworld, Home Video, Anthony Pappa, Kazell, Jonathan Lisle and Daft Punk only to name a few, besides several hits in worldwide top100 charts, Gare Mat K drives the train full of fresh and innovate music suitable not only on first-class Dj sets but on quality sound systems without doubt. Well said, Heiment, Breutfe, #4, Fluokszum, Trumd and Moderna are the six-journey-wisdom-wizard setup with quality brews to blow up forward-thinking electronic music brains - as undeniable pearls capable to make tension to any huge mix in the night.